A campaign calling on the Government to make CCTV systems compulsory in care homes across the UK – in a bid to prevent cases of abuse and neglect of the elderly – is being spearheaded by a specialist legal firm. 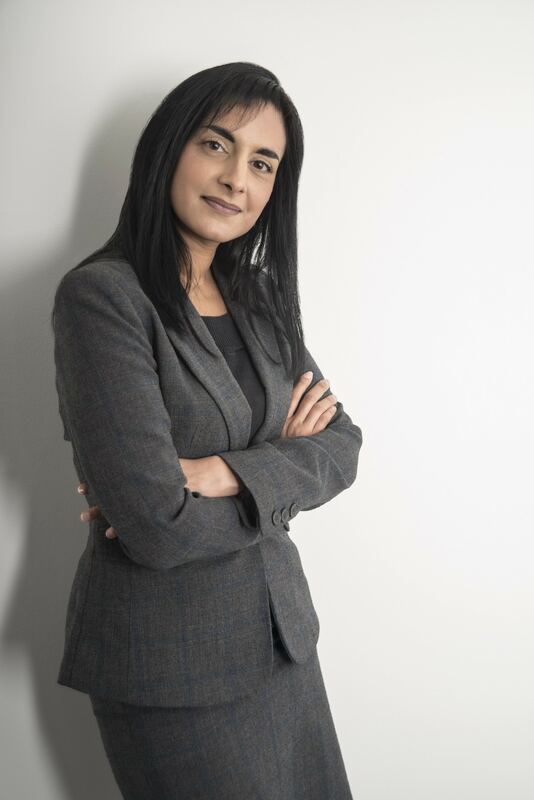 Medical negligence and personal injury specialists Hudgell Solicitors, which has its headquarters in Hull and offices in Leeds and London, has launched the campaign as an increasing number of families have turned to the firm for legal support. Many have resorted to secret filming or recording because of concerns over abuse and neglect of their loved ones. Should the petition secure 10,000 signatures, the Government will be required to provide an official response. If 100,000 sign to support the call, the matter could well be placed high on the agenda in Parliament. The petition was originally established by Lisa Smith, 34, of Rochdale, who described four years of having her 86-year-old dementia suffering father Joshua in care as a ‘living nightmare’. She brought him back home on Christmas Eve, and is now caring for both he and her mother, whilst balancing those demands alongside her work and looking after her own two children, with a third child due in March. Renu Daly, a specialist in handling claims of abuse and neglect at Hudgell Solicitors, says the time has come for care of the elderly to be made a Government priority. “There has been a common theme in many of the cases, and that is families raising concerns about the treatment of their loved ones, not getting satisfactory responses, and then uncovering poor, sometimes shocking treatment themselves when carrying out their own filming or recording. “We believe that, in light of the increasing number of care home abuse cases handled by our team of specialist solicitors, and reported on in the national media, the time has come for the Government to seriously consider making CCTV systems compulsory in all UK care and residential homes caring for vulnerable people. The firm believes the timing of the campaign, in the days running up to Valentine’s Day, brings an opportunity to make people think about showing love in a different way. “We hope the campaign will encourage people to think deeper, not just about their partner, husband or wife, but about older generations, and what we can do to ensure they are treated with love, respect and dignity when they need the care of others,” she said. Opportunities to view the care on their relatives beyond limited visiting hours. Extra observational aids for caring for residents when short staffed. 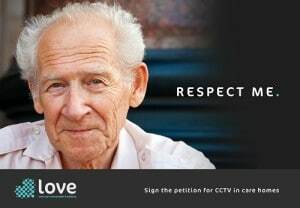 The campaign – which includes a national awareness campaign showing images of elderly people calling for love, respect, protection and dignity – comes after a survey last year saw three in five residential care workers admit to being “relaxed” about visible cameras being installed in care homes. The survey of 2,000 members of the GMB, who worked for a residential and nursing care provider, found that while 40 per cent of those polled were opposed to the routine use of CCTV cameras in communal areas, the remaining 60 per cent were “reasonably relaxed” about the idea. Some 70 per cent agreed that cameras could help to identify abuse, but 71 per cent expressed concern that they would be an invasion of residents’ privacy. However, Ms Daly added: “Residents’ privacy is often used as a reason against having CCTV, but at present, they have no option at all, as there is no CCTV coverage. Last year, the Care Quality Commission (CQC) issued guidance on what relatives in England need to consider when using hidden cameras. The move came in response to increasing numbers of relatives taking the drastic steps to protect their loved ones.